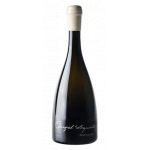 Pazo de Barrantes is the maker of this Pazo Barrantes 2017 (£140.24), a white wine from the region of Rias Baixas made of albariño of 2017 and shows an alcoholic content of 13%. According to Uvinum users, this white wine earns 4 out of 5 points and in guides it has been reviewed: robert parker: 91 and peñín: 93. - View: straw yellow, greenish, bright and clean iridescence. - Nose: floral notes, white petals leaf, pear, grapefruit, mineral aromas, menthol and eucalyptus. - Mouth: a perfect balance and excellent mouthfeel with freshness and a strong expression of the Albariño varietal. VINEYARD: Finca Pazo de Barrantes. PAIRING: half cooked prawns, white truffle vinaigrette, caviar, calamari, vegetables, steamed or grilled, marinated red shrimp. Very pale with green-gold lights. 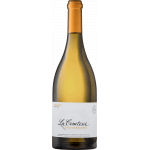 Full of aromas of wild flowers, white fruits and a hint of spice. A textured palate with plenty of palate weight followed by a fine stony finish. A wine very expressive nose and creamy on the palate, following his characteristic style, while maintaining the freshness and acidity. . .
- Pazo de Barrantes is a white wine from the winery Pazo de Barrantes. 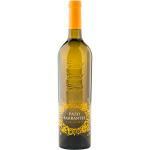 - you have D. O. Rías Baixas and is made from grapes 100% Albariño. - Tasting notes: Very expressive nose and creamy on the palate, following his characteristic style, while maintaining the freshness and acidity. - View: yellow with green highlights. 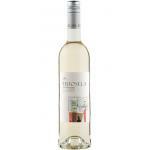 - Nose: Floral notes, citrus and mineral aromas. - Mouth: lemon, pear skin. silky and long finish. Peach, white flowers, subtle, spicy, round. 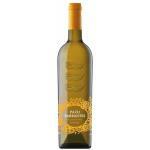 If you want to buy Pazo Barrantes 2017, at Uvinum you will find the best prices for Rias Baixas white wine. Buy it right now at Uvinum, wherever you are, via your mobile device or computer. We're the only site in Europe with more than 59.000 products for sale becoming this way the biggest company to sell wine, beer, and spirits online in Europe with more than 38.000 customers trusting us.